Exterra termite interception and baiting system is certainly long term, effective, family-safe and environmentally responsible termite management. It utilises in-ground closed and locked stations that are placed around your home every 3 meters approximately apart. 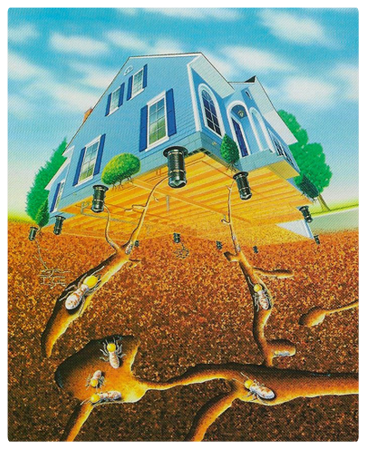 Then a Termite Attractant is placed in the stations, this attractant is non-toxic, its a food base additive that once in contact with the soil it works with soil micro-organisms to slowly release a small, precisely determined amount of carbon dioxide (CO2) into the soil. Termites love CO2, this attractant works by mimicking those natural smells of both rotting wood and termite nests, so the CO2 in the soil directs termites to potential feeding sites. Exterra stations are doing its job, by naturally directing the termites to an Exterra station and not your home. Don’t worry this attractant just attracts termites that are foraging for food really close to your property so its not attracting termites to your place. If the stations weren’t there then these termites would eventually seek out and attack your home. In the stations Eucalypt timber interceptors are used simply because studies have shown that this timber is the most favoured by termites. If it seems like a good meal to termites they will hungrily enter the station, which means they will be eliminated. With this system you get protection, a product that actually eliminates the entire termite colony and does so without harming the environment your family and pets. There is no need for you to leave your home while the treatment is carried out as its very safe. If your interested in finding out more, please give us a call and we can email or post you more information about this Termite Interception System and other termite interception systems. 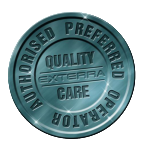 We can also arrange a free quote for your property, just give us a call, we have all the accreditation to install this Exterra termite system. Call now to book in a termite control on 0406 983 822 or contact us for a Quote. We will be happy to answer any of your termite control questions.